Can Street Faction make a chassis mount wing for my car? Due to high demand and limited time for R&D, they are no longer developing rear bash bars for our chassis mount wings for the time being. If you can have your own rear bash bar made, then they can sell our entire chassis mount kit to mount onto your rear bash bar. It comes with everything besides the rear bash bar. Street Faction will provide universal mounting brackets to weld onto your existing bash bar. Can I still access my trunk? Yes, you can still access the trunk by removing the bottom most bolts & swinging the entire wing assembly back until it stops on the bash bar. Can I still run my rear bumper? Yes, you can still run a rear bumper while retaining the functionality of the pivot feature, but you'd have to cut out two slots for the bumper to slide over the brackets. Is the wing welded onto the bar? No, the wing assembly is not welded onto the bar. The mounting brackets are welded onto our bars, which allows the wings to bolt onto our bars. What if I already have a rear bash bar but want to run your wing? You can purchase our wing setup without our rear bash bar! We can include two mounting brackets which would be needed to weld onto your existing rear bash bar. However, we can't guarantee functional deck height for bars that were not made by us, since the bar is not our design. Disclaimer: This product was NOT designed to be used as a safety device. We do not recommend standing on our chassis mount wings. 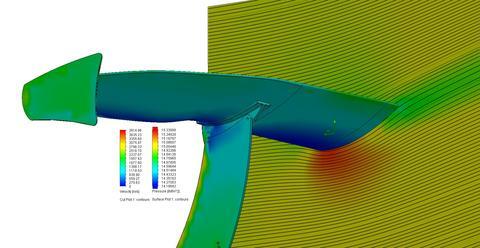 There is a possibility of the wing deck breaking if too much weight is applied which could cause injuries.